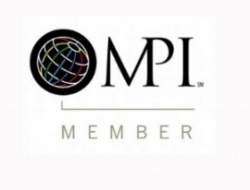 the fastest delegate management on the planet. Now available with facial recognition technology check-in. Keller Williams Family Reunion 2017 - fielddrive checking in 17.000 delegates. Client testimonial. fielddrive offers a range of services to get your on-site visitor registration and badging organized, and finally say goodbye to preprinted badges. Our fully integrated solution covers all your needs for badge printing, vouchers, wristbands, NFC and RfId encoding, document delivery, document scanning and any accreditation you may require. This is the fastest and most cost-effective way to welcome your guests. All services are synchronized live to the cloud so you can follow up the progress in real time from your mobile device. All replacements, new registrations, workshop changes are logged in the database for post event communication and reporting. Full service live badging with registration desks or kiosk. 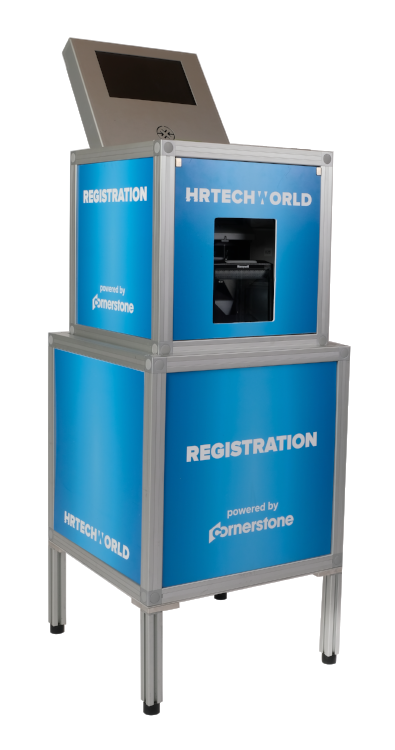 DIY rental or purchase of kiosks and portable badging. The unit fits in a compact flightcase and can be setup in less than 3 minutes. We can move them around to do pre-check-in at the hotels or airport and reduce the stress on your fist day peak. They can be branded with sponsor logo's to generate more revenue. Use them for self scanning to reduce staffing cost. Save space with a footprint of 40 x 40 cm. Can operate totally independent from internet connection and continue to print badges when the connection is interrupted. Can be fitted with an optional UPS backup power supply to continue printing even in case of power failure. The same kiosk unit can be setup in many different combinations and even switch functions throughout the event. This gives you maximum ROI and flexibility on the equipment. Stand alone badgecube / tabletop setup. Fitted with credit card, butterfly, thermal badges or wristband printers. Hosted or self service setup front or rear facing setup. With our without webcam for face recognition or photo badges. Setup as self check-in, self registration or hosted service. Setup as customer service desk. 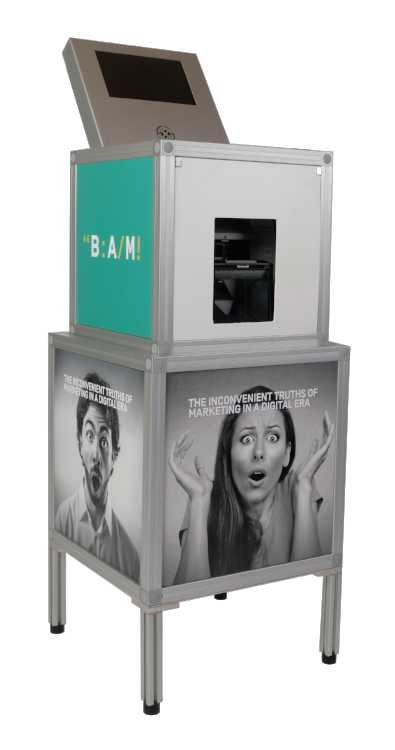 The kiosk can be moved around in the event, from the airport to the hotels, to the venue. Want to put some extra customer service desks on day 1 and switcht them after the rush to self check-in units ? ... check ! Want to allow overnight self check-in at the hotel desk? ... check! Want to change branding panels for a side event? ... check! Want to use the same unit as an exhibitor booth animation for live photo printing? ... check! For maximum troughput, stand alone unit. The bottom leges are removed and the kiosk is fitted with an intermediate ticket or wristband printers. We can link up to 4 different printers for simultaneous printing. Setup on existing registration counter. Hostess or client facing. Display and printerunit can be disconnected for separate setup. 2 kiosks are connected with intermediate layers for extra storage and workspace. Then a front unit is connected to the setup, that can be white, black or branded, and fit with a signage display. Depending on the usecase, the keyboard can be removed for self-check-in or added to allow manual search or self registration. They are not reading instructions displayed on the terminal, they cannot find their ticket, spend time to retrieve the QR code on their phone, or they have their hands full and have to place down their belongings before they can start the check-in process. Facial recognition is addressing the root cause of the problem by eradicating the need for user actions. When an attendee approaches the check-in station they will be instantly identified and print the badge, without them having to take any action. It's that simple! The software and hardware is incorporated into the fielddrive kiosks, and makes it a plug an play solution. It's 50 % faster than traditional check - in. It's tested and successfully implemented in over 40 events in 2017/ 2018. It's incorporated in our kiosks. Our fielddrive badgebox is Ideal for small events, a compact kit for rent or purchase. Connect your online registration to the fielddrive platform, select the badgedrive app, place the badges in the printer and start checking in your delegates. It is as easy as that! The cube is cabin approved size and comes in a trolley so you can take it anywhere as a hand luggage. 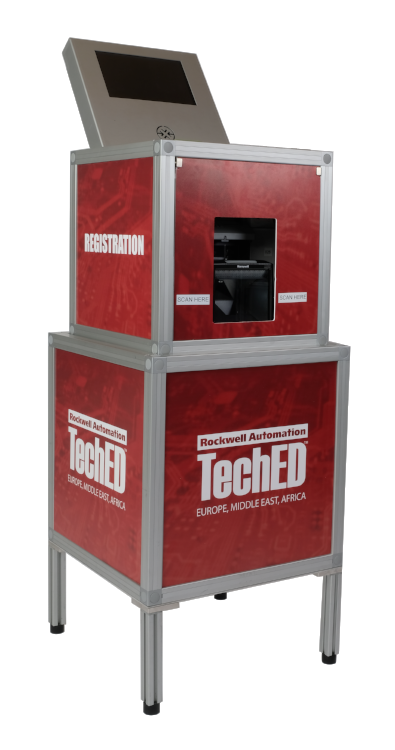 Our registration desks are composed of 2 fielddrive kiosks and a front unit with custom branding and digital signage. It's a perfect out of the box solution for customer service desks, finance, infodesk... The kiosk units are identical to the stand alone units so you can combine different settings troughout the same event. The fielddrive partner network is growing fast. We have partners and identical equipment in 11 cities around the globe for you, so we can minimize overseas shipping. Reduce the queuing time of your delegates by removing the lanyards from the registration kiosk and placing them behind for free pick up. This little tip can reduce your check-in time by 50 %. There is no use doing all efforts to print a badge in 20 seconds and spending another 20 seconds to clip it on the lanyards.